Think air dryers can’t be customised? Think again! Recently one of our clients in Sweden who specialise in healthcare product manufacturing contacted us to ask about whether we could customise a Paxton air knife drying system to work with their current setup. 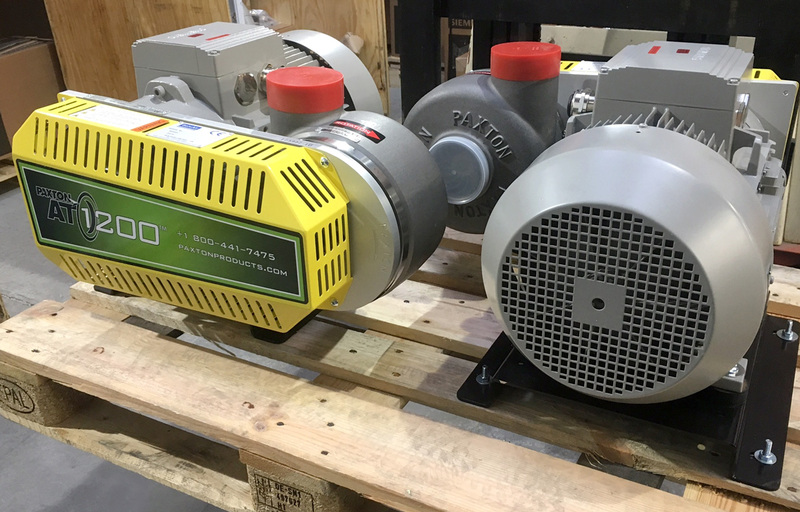 Shown in the photo are the Paxton AT1200 15kW high speed centrifugal blowers that we supplied and these included variations on our standard design which met the client’s specific requirements, such as with inclusion of an ATEX rated electric motor and labelling/colour coding that worked with their internal systems. We will always strive to meet our client’s individual requirements and are happy to chat about how one of our systems could be customised to your requirements. For further information on our range of Blowers, Air Knives and Drying systems or how they can help cut your energy usage please contact us.